Got to take a very fun and incredibly delicious cooking/tasting/brew pairing class recently. 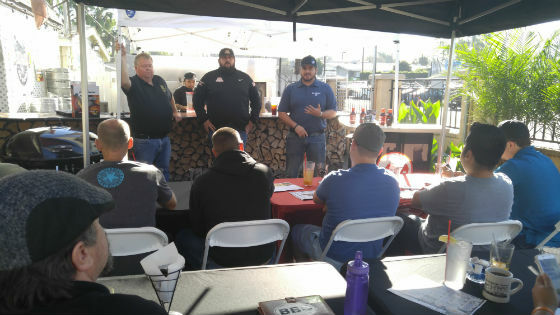 Taught by pitmasters at Cali Comfort BBQ, Gene Goycochea and the owner of Valley Farm Market, Derek Marso. I knew I was in for a day of learnin’ and eatin’. Gene is the guy who trained and certified me as a BBQ judge back in 2012 and is a legend in the Kansas City Barbeque Society (KCBS) world. That’s the organization that sanctions all the events we judge at. He’s a fountain of knowledge and loves to teach and it shows because you really dig listening to the guy. Derek is a 3rd generation butcher and his family has been at Valley Farm Market for a long time and the market itself has been around for 60 years. He was also filled with fantastic prepping and cooking tips. Shawn Walchef is the owner of Cali Comfort BBQ (reviewed here) out in Spring Valley where this event was held. Possibly not a nicer guy in the world than Shawn. Loves his Chargers and is a Tailgating Event Specialist. His tailgating parties at the Chargers stadium are quick becoming legendary. The 101 part of the class is just that. We learn the basics. But it’s not so basic that they don’t move things along pretty quickly. They keep the class to a small number so there is plenty of time to ask questions as we went along. The booklet handout was done very professionally and rather then go over very detail of equipment needed or ways to cook (it’s in the book), they just show you what they have and how to do it. 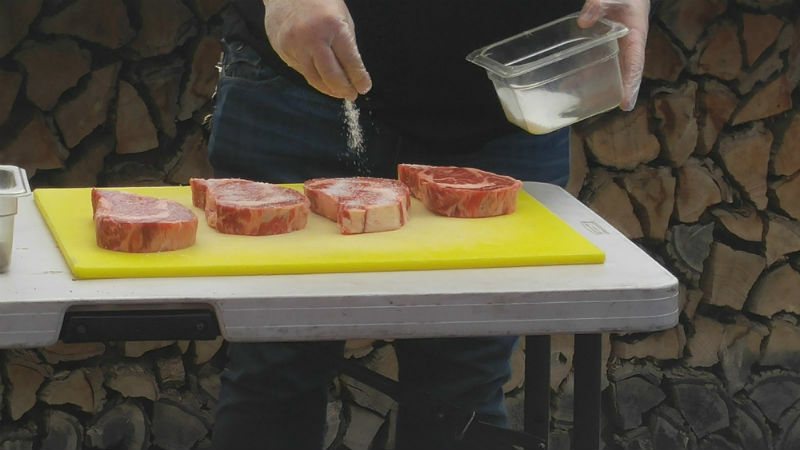 We learned about cuts of meat, how to trim and season properly and the best part? We got to taste EVERYTHING they made! Worth the price of admission alone….but wait, there’s more! They paired each tasting with one of many different brews. Forgive me for not taking any pics of the beers, as I’m not a drinker, but suffice to say, there were a lot of mmmm’s and lip smacking going on around me. Here are our tri tips cooking. Here is a product that these masters use ALL the time. 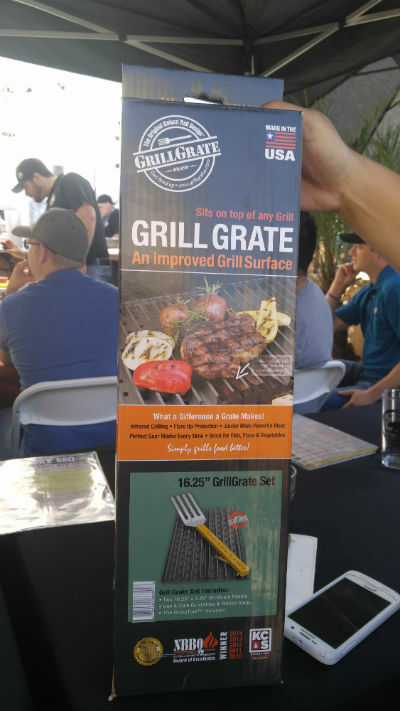 It’s called a Grill Grate. It will blow you away because you swear the meat is burning. 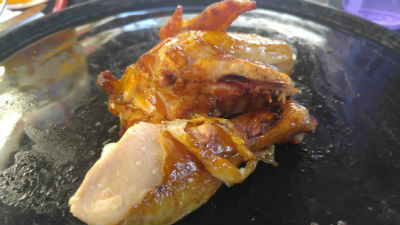 But you get an amazing sear, no burn and perfectly cooked meat every time. 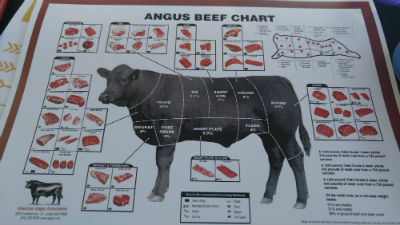 I like mine medium rare, how about you? Watch this next video and be prepared to lick your screen! 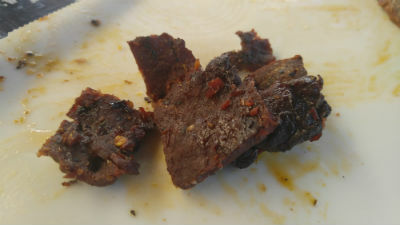 And while those were cooking, we got our first taste of their homemade beef jerky. Spicy and good! Next up, burnt ends and tri tip. 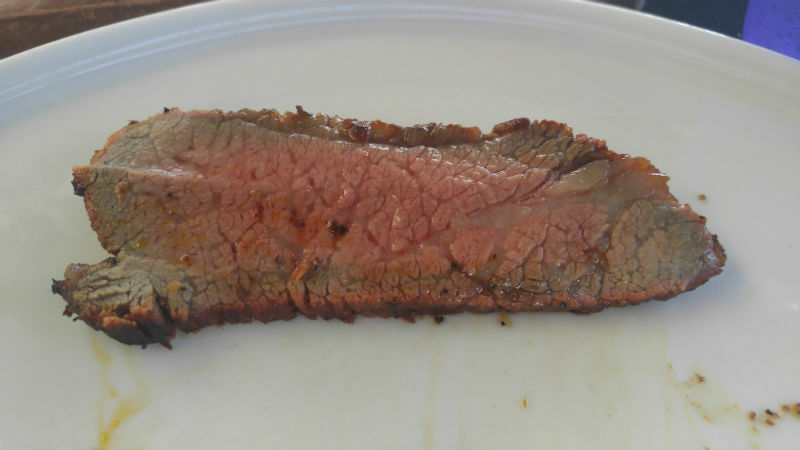 The tri tip was perfectly cooked and as tender as you hope it would be. Seasoned so well too. For years I tried this cut of meat at every backyard BBQ I’ve been to and maybe only once, did someone actually understand that you need to cut it AGAINST the grain, not with it! Such a basic bit of info, but makes all the difference in this California cut. As Derek said, you won’t find this cut of meat anywhere but in California. This is where Santa Maria Style grill cooking was invented and tri tip was the meat that it was perfected on. NOW I like it! The hits just kept on coming….next up, the rib eye. 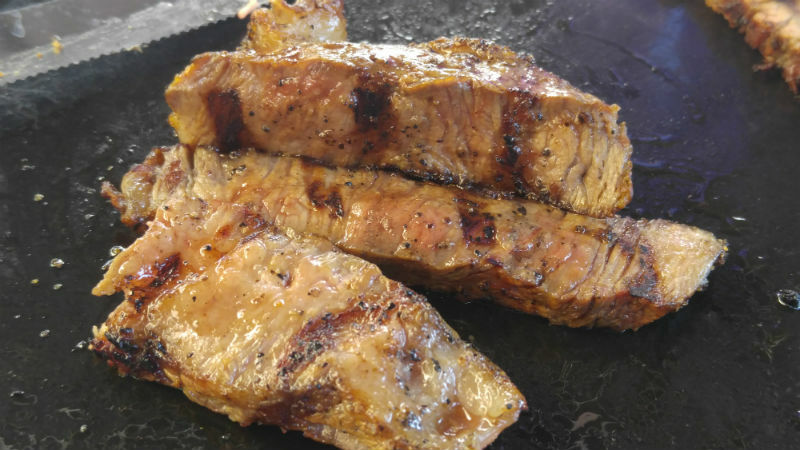 Can there be a tastier cut of steak? I don’t think so and to bite into it was like buttah. Not that they were doing this just to make the Rib Girl happy, but it sure did. 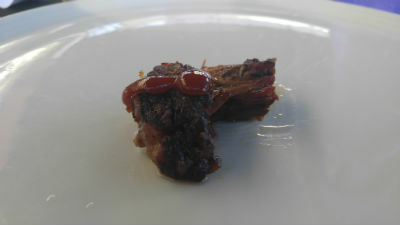 Perfectly cooked ribs where it wasn’t drowned in BBQ sauce. 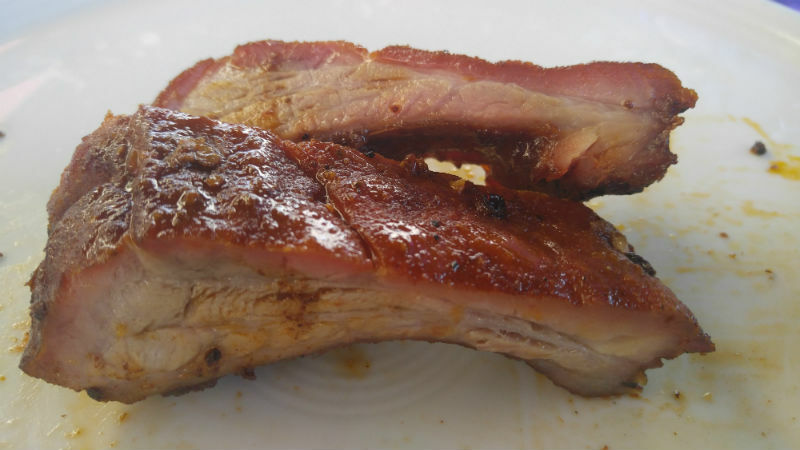 Only the meat and some seasoning with a very light glaze of sauce and a demo from Gene on how to remove that pesky sheet of silver skin/membrane in the back of the ribs. Hard to believe that several restaurants don’t remove it and Gene says they’re just plain lazy if they don’t. Why don’t you tell us how you really feel Gene! Ha! Still to come on the hit parade was chicken. Taking this beyond the ordinary was no biggie and again these all were paired with some great brews. At this point, I was so full I was about to burst…and THAT was with no beer! And no feast would be complete without dessert, right? 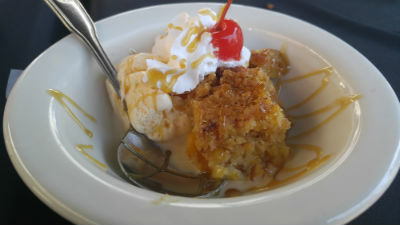 Well I already knew that Cali Comfort makes a bomb peach cobbler. I literally could only take a bite because I was so freaking full! These classes are taught every June right before Father’s Day (hint, hint!) and beginning of October, right before their main event, which is the Spring Valley BBQ Festival.